Communities come in all shapes and sizes, and Avalon Encore in Orléans is our largest and most established community yet. Generations of Orléans families have called it home — they’ve helped build a community you can trust. Families choose Avalon Encore for its friendly streets, lush parks, and walking paths. Phase 6 of the community may have launched in spring 2018, but there is plenty more coming soon — and we can’t wait to share it with you. 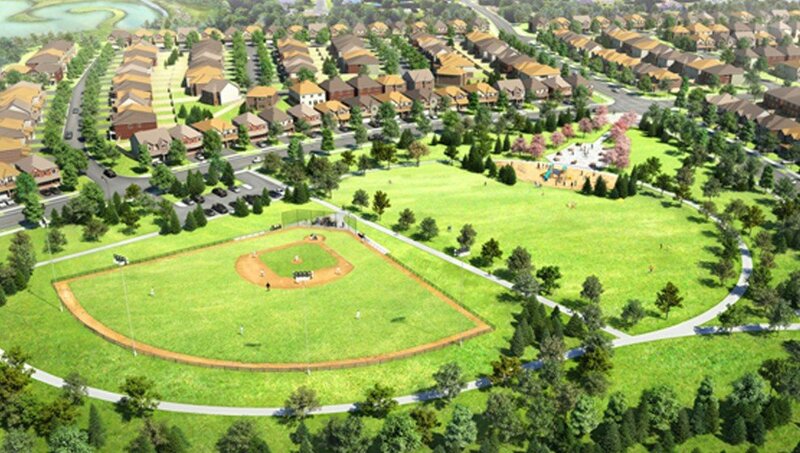 The features of Avalon Encore Phase 5 connect seamlessly with Phase 6, including one park with a baseball diamond – a first for Avalon Encore – and a series of walking paths, play structures, and more. The second park in Phase 6 is a bit smaller, but the playground and large field will be perfect for quick pick-up games or spreading out a picnic blanket. Both parks have been designed in a central area of Phase 6, and are just a quick walk away for all Avalon Encore homeowners. These parks will be great places for the whole community to come together. With the arrival of Phase 6 also comes two new schools to the Avalon Encore community. With schools in both the OCDSB and OCSB, your children will be able to learn close to home. You’ll have peace of mind knowing they can walk safely to and from school through the neighbourhood streets. In the future, the larger park will share the space with the secondary school and include brand new sports fields. Community sports teams will also make use of the fields. There will be future releases of Single Family Homes and Townhomes. Also, Infusion Terrace Homes in Phase 6 of Avalon Encore are now available. With countless design options to choose from, whether you’re looking for a show-stopping statement home with space for the whole family, or a smaller space with all the features of a larger house — there’s a home for you in Avalon Encore. 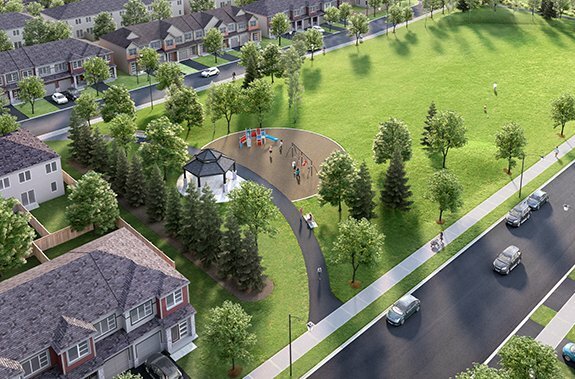 Orléans is a growing community with Avalon Encore at its heart. Located just off Tenth Line Road, everything you need is practically at your doorstep. Avalon Encore is a vibrant community, designed for families of all sizes. You're close to the best parks, green spaces, and recreation centres Orléans has to offer.